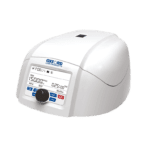 The Oxford Lab Products BenchMate C6V Clinical Centrifuge is designed for a variety of clinical and blood-work applications in laboratories for PRP and pathological analysis and research. Furthermore, the unit is suitable for hospitals and medical practitioners. The centrifuge provides a lid lock safety feature which keeps the lid safely locked in place while the unit is running. Subsequently, the lid releases automatically after run completion. The runtime has a set range from 1 to 30 minutes or can run in infinite mode. Likewise, the centrifuge speed has a set range from 500-6,500 rpm in steps of 100 rpm. Additionally, the unit has a one-switch changeover from rpm to RCF. The smart airflow design of this clinical unit ensures quiet operation and minimal temperature generation to help maintain sample integrity. Therefore making it ideal for blood plasma work. 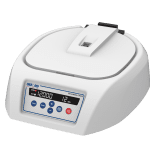 Additionally, the centrifuge accommodates most common collection tubes and comes with adapters for smaller tubes, as well as accommodating 15 mL tubes without the need for any adapters. The imbalance detection safety system allows for auto cut-off in case of improper/imbalanced tube loading for user safety. 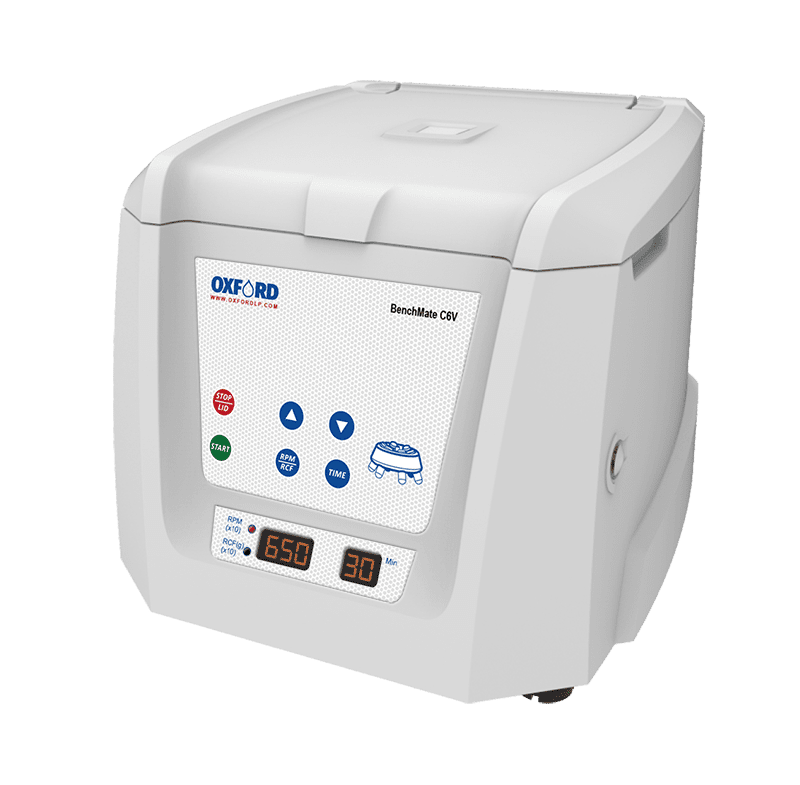 The Oxford Lab Products BenchMate C6V Clinical Centrifuge is powered by a maintenance-free brushless DC motor. 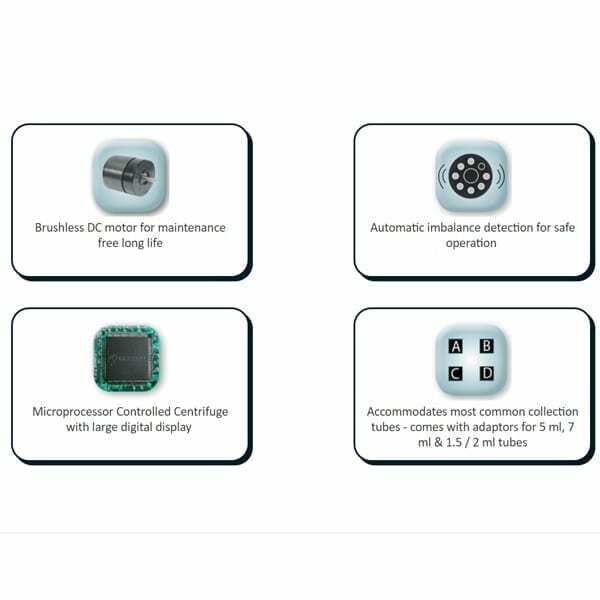 Thus, it provides you with a long product lifespan, in addition to minimal heat and noise production. Precise speed setting from 500 to 6500 rpm in steps of 100 rpm. Similarly, timer setting from 1 to 30 minutes, and infinite mode. Lid lock safety – lid releases automatically after run completion. Smart airflow design ensures quiet operation and low temperature generation for sample safety. Ideal for blood plasma work. Fixed angle rotor (Cap. 6*10/15 mL). Accommodates most common collection tubes – comes with adapters for smaller 5 mL, 7 mL, 9/10 mL & 1.5/2 mL tubes. Imbalance detection safety with auto cut-off. One switch change over from rpm to RCF. 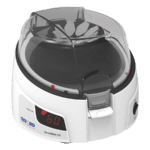 If you are looking for a small benchtop microcentrifuge for quick-spin applications, the BenchMate C8 Microcentrifuge might be the perfect unit for you.